Bromley Cyclists’ coordinator Spencer Harradine accompanied by Shaun McDonald, John Wood and Chris met with Jon Fray of TfL and Jack Murphy a road engineer from Bromley Borough Council to discuss plans for improving cycling facilities on the A21 between London Road and Mason’s Hill. The meeting started at Mazzi’s Cafe near Bromley North at 3.30 pm. 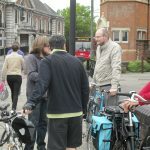 and a wide range of cycling related problems were discussed. 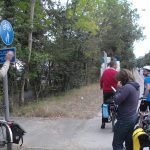 The meeting then developed into a site visit, fortunately all parties had arrived by bike so it was possible to conduct a useful inspection of the area taking particular note of the problems faced by cyclists on this busy and cycling hostile section of road. At Kentish Way junction with Mason’s Hill there was the usual rush hour gridlock – six lanes of traffic jockeying for position and going nowhere. The cycle lanes on Bromley Common beyond the Crown pub were also considered, these are new facilities. 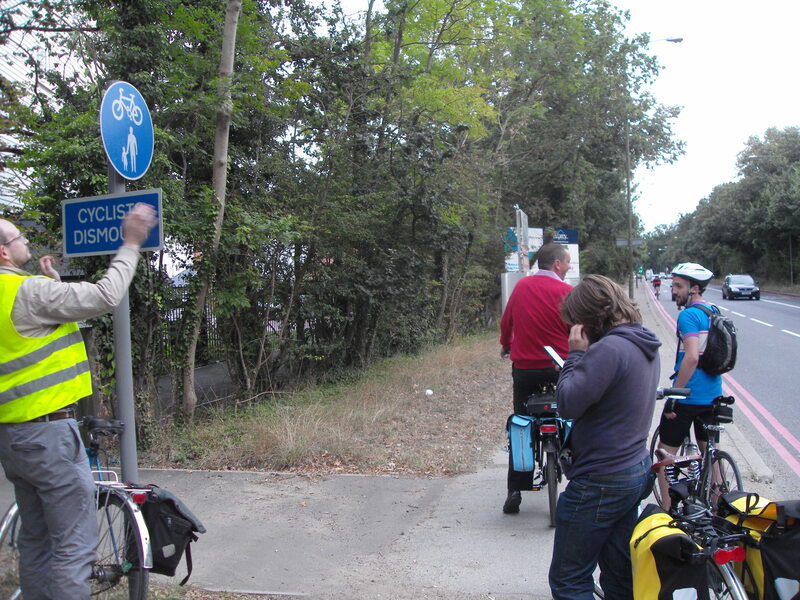 Spencer took the opportunity to conduct a few impromptu customer satisfaction surveys with passing cyclists to obtain a broader view of the problems cyclists face. The meeting concluded at 6.30 pm with all parties agreeing that it had been a useful exercise but there was much to be done!